Sounds like our Teddy next door(he looks like a sheep,all curled up fur),which will howl all his heart out when he hears the Surat Khabar Lama man.sometimes he will give out the long howling long before the man comes round.There must be a change in the tones. My neighbor's dog howls too. Also when we play Celine Dion! I meant my other neighbour, the one behind my house! Not Bushy! 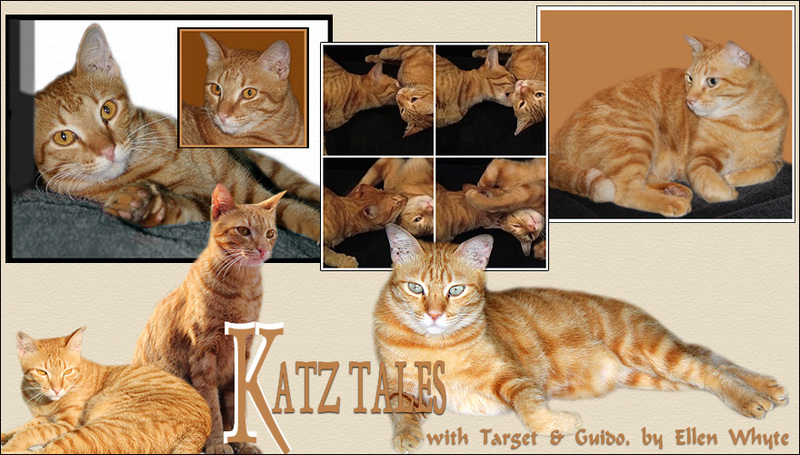 Hi Kitty Cats, this is the 3rd cat blog of 3 that I have seen today that have dogs showcased! As you might know, I am a cat who dislikes and is afraid of dogs, but this one is cute. I like his coloring, as it is close to my color. I like that he wakes you up, perhaps he is singing for his breakfast. I meow at my humans at 6 am to remind them that I need breakfast. Dat is so funny. Doji sounds like one cool pup. Heehee! Reminds me of when I was in my 20s and my friend and I walked to Mass. Our little Daschund had, unbeknownst to me, slipped her collar and followed us to church. We soon realised where she was when the congregation started singing hymns with her howling along outside the church doors. My friend and I were laughing so much we couldn't sing a note, much less pray!